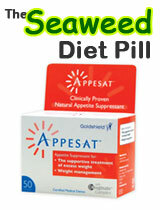 Another Hoodia based slimming pill nudges itself into what is becoming an overcrowded market. 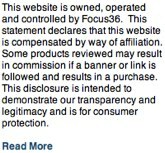 The official Hoodia 850 website draws attention to what nearly every other Hoodia supplier does – the references to CBS, the BBC and Oprah Winfrey. The Oprah WInfrey connection has long since been dispelled. Oprah has never openly admitted to using Hoodia or any specific brand of Hoodia – so keep using the Oprah connection is getting rather boring. Hoodia is an appetite suppressant that can reduce the feelings of hunger and stop the taker from eating as often and as much as they usually wood. Hoodia Gordonii is very effective provided you choose the right brand. Hoodia 850 claims to be authentic and genuine Hoodia Gordonii that used just Hoodia. Not Hoodia as a main or other ingredient, just pure unmodified Hoodia. Although we would love to believe it the certification on display is to miniscule that is hard to be certain. If the Hoodia used is genuine then no side effects should be present. 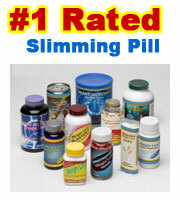 If the Hoodia is genuine then yes it would be an effective weight loss pill – the biggest negative is the “850” bit. A standard vegecap or capsule holds around 400mg of Hoodia powder – Hoodia 850 claims that 850mg is present – you do the math. Hard to recommend over and above Pure Hoodia – the Hoodia supplier with a decade long history and certification that you will ever need. Pure Hoodia – if you are from the UK, Pure Hoodia is difficult to overlook. PureSlim have been harvesting since the mid nineties and produce what can be considered the original Hoodia Gordonii slimming pill.